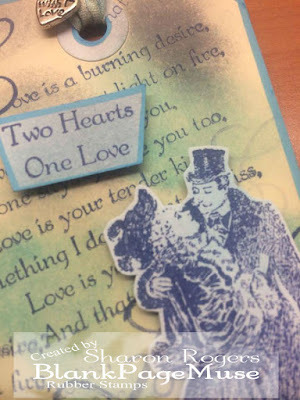 Today I am sharing a vintage style romance tag using the theme of the current challenge "Blue/Heart/Time" - perfect stamps at the Store!!!!!!! 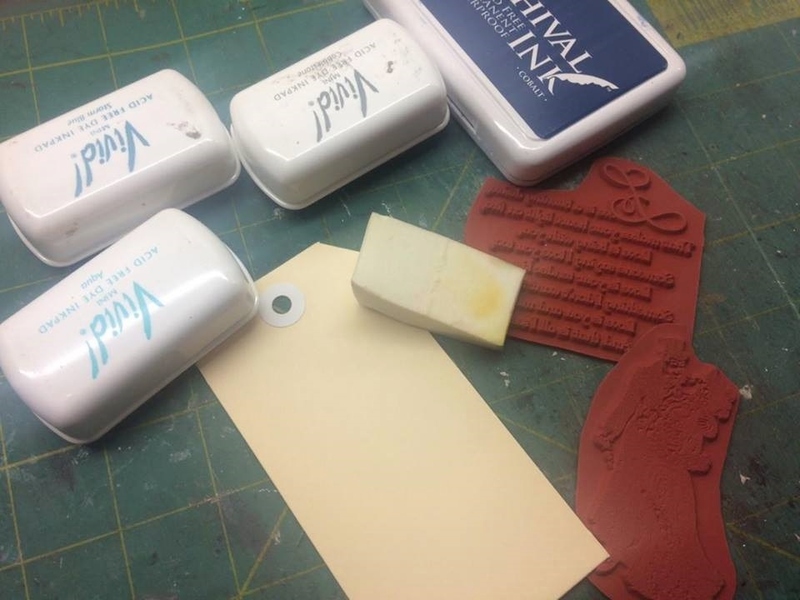 All the supplies and step by step instructions are below - hope you get inspired!!! 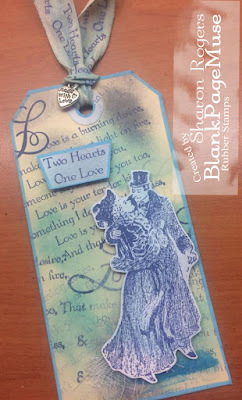 Start with colouring the background using a sponge and a few shades of blue and/or grey stamp pads. 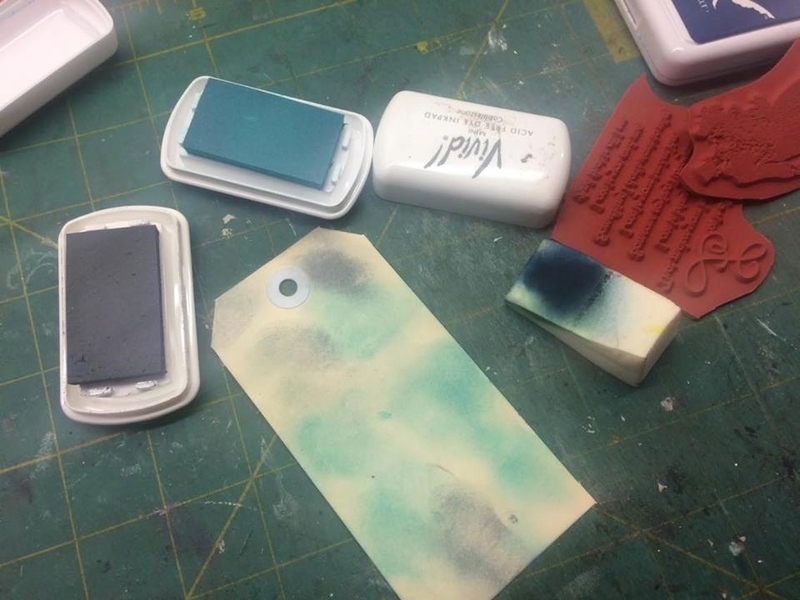 Hint: a good way to get the very last bit of ink out of your old pads! Use a dark blue ink pad to stamp the "Love" poem all over the background of the tag - stamp multiple times with the one ink application to get varying shades of the writing. 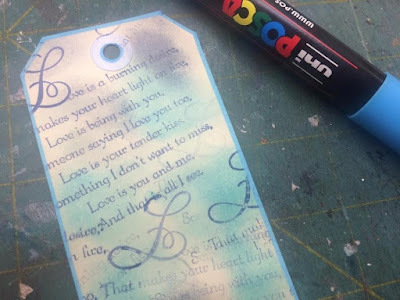 Edge the tag with the blue Posca Pen. 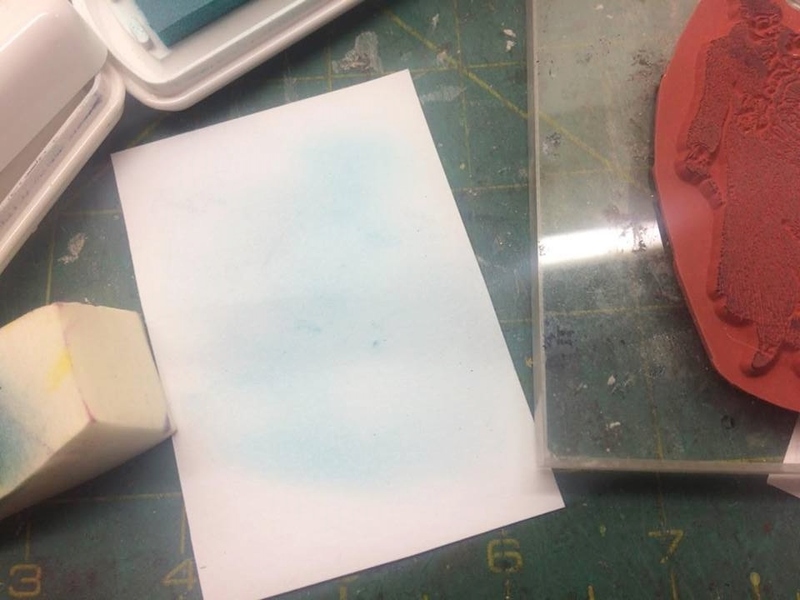 Sponge your scrap of card with the lighter blue inks. And then stamp the "vintage couple" from the Romance Stamp Set along with the "Two Hearts One Love" phrase also using the dark blue ink pad. Fussy cut the images and add mounting tape to the backs. 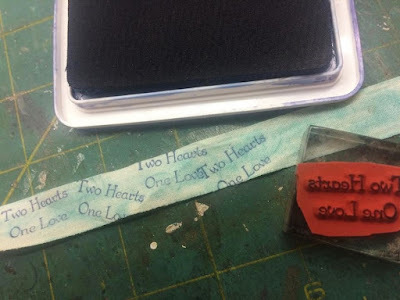 Add a blue border with the Posca pen to the two hearts phrase. 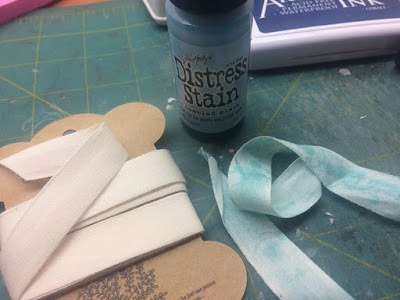 Next step is to "stain" your ribbon/binding with the pale blue Distress Stain. 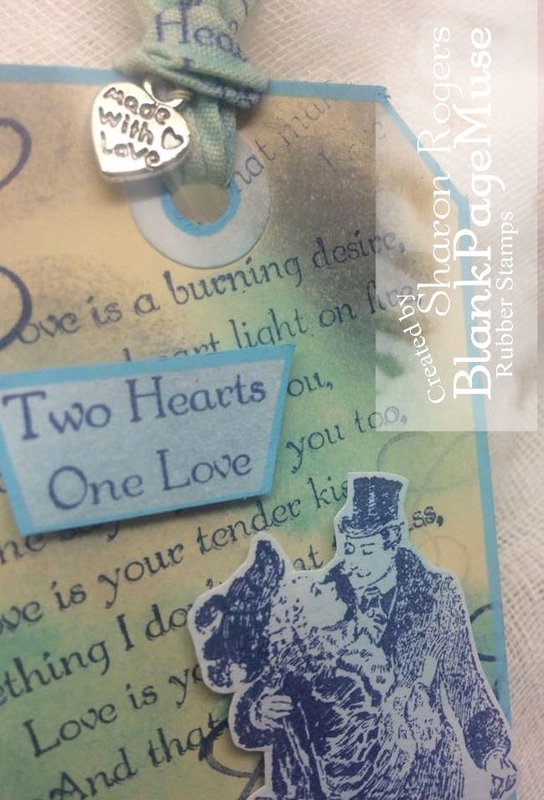 The sponge tops on these stains make it quick, easy and not too messy to cover both sides of the ribbon. Once again using the dark blue ink pad, stamp the "Two Hearts" phrase randomly along the ribbon. Lastly put all the elements together. 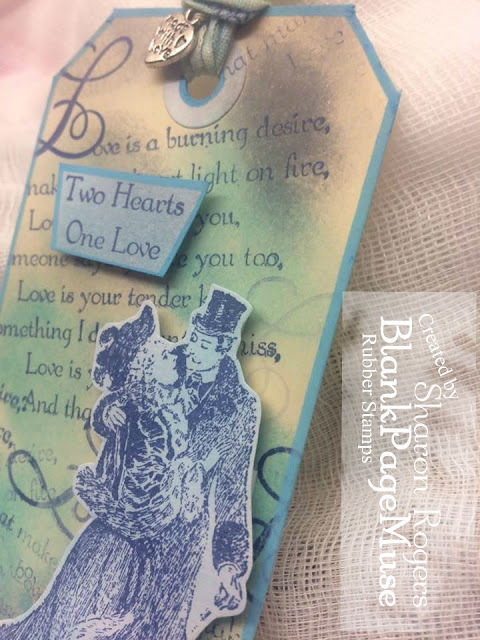 Draw/smudge a line at the bottom of the tag with the water soluble crayon for the couple to "stand on" and glue a tiny piece of muslin cloth to one side. 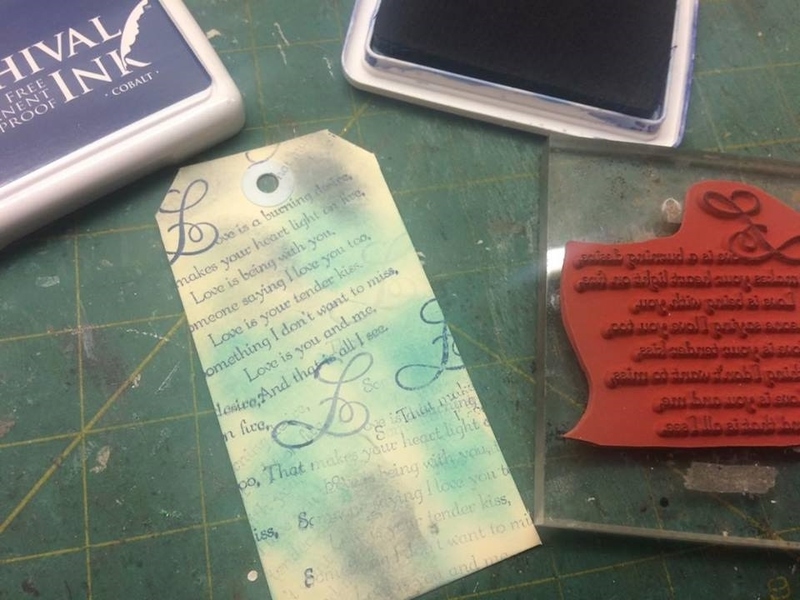 Add the mounted stamped images. Tie the ribbon at the top and trim to desired length. Glue the heart charm to the top. Hope you have enjoyed this tag tutorial! 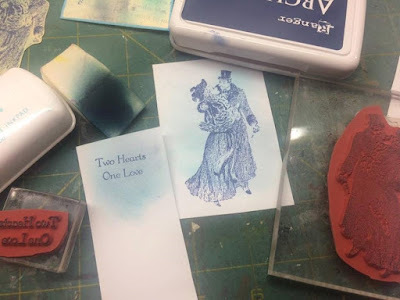 We hope you are joining in with the current blog challenge - you still have time to play along! Stay tuned to the blog for more DT inspiration - we all love creating with our Blank Page Muse stamps!